Docent led tour begins at 10:00am and lasts around 45 minutes. After the docent tour, we are welcome to tour on our own. 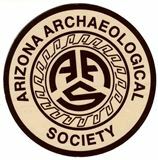 Lunch 12:00pm -1:00 "on your own"
Meet at AZ Natural History Museum Mesa (just a short drive from Mesa Grande) @ 1:00pm for a self-guided tour of this great museum. The cost is $9.00 per member. You must be signed up prior to 3/15/19. AAS/DFC members only with priority given to DFC members. We are touring the Cultural Park and its interpretive trail with a docent. There are nine stations on the trail that correspond to significant places on the mound. One of two Hohokam "great mounds" in the Salt River Valley, the Mesa Grande mound was a dramatic symbol of the power of this ancient community. The village surrounding the mound once covered over one-half square mile and was home to perhaps two thousand Hohokam. Situated near the head gates of one of the two largest networks of irrigation canals created in the prehistoric New World. The site of Mesa Grande controlled over 27,000 acres of highly productive farmland. Mesa Grande is listed on the National Register of Historic Places.